Believe it or not, exchanging and storing cryptocurrencies in a secure manner is tricky. It is so because this form of money is new to us and therefore we lack experience. Many users ignore the fact that cryptos are complex and choose random wallets and exchanges for their crypto needs. Choosing the exchange and wallet without proper research and due diligence is foolish. You end up paying money to store your coins and then if your exchange or wallet is unreliable, you lose your hard earned money! Paying the money and still losing funds, you may ask. Yes. That is very common. And that is because of the centralized nature of our current crypto infrastructure and lack of proper education amongst its users. However, to save you from any unfortunate events, the Atomic wallet and Atomic swap exchange have landed in the market! 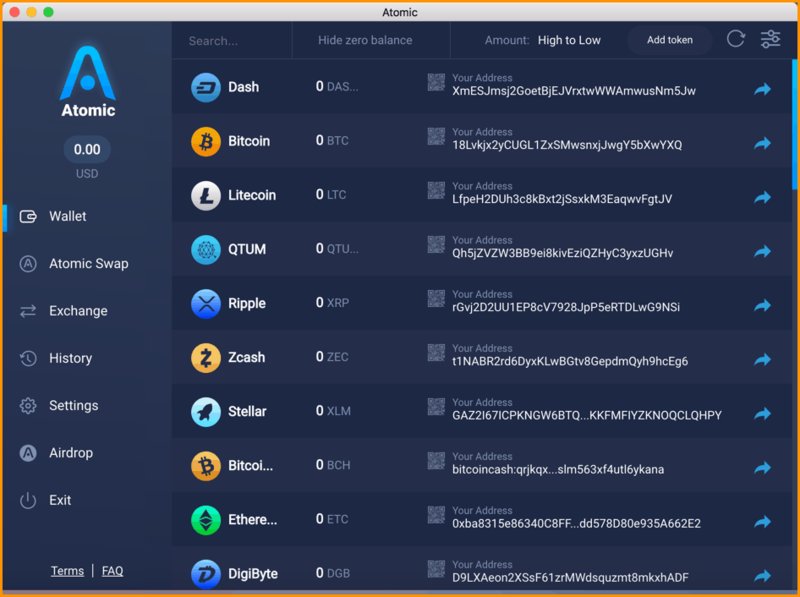 Atomic Wallet is a universal multi-currency wallet to manage your Bitcoin, Ethereum, XRP, Litecoin, XLM, and over 300 other coins and tokens in a single interface. Apart from being just a wallet, it is also an exchange through which you can exchange assets via its non-custodial Atomic Swap with the decentralized order book. We have, in the past, talked about Atomic Swaps. Here is the link in case you want to refer to it again: What Is Atomic Swap and Why It Matters? Atomic Wallet is a smart amalgamation of the latest blockchain innovations and intelligent integrations to create a robust, on-demand service that allows users to reduce effort spent on managing crypto assets and makes it transparent and reliable. The Atomic wallet is multi-currency wallet where you can store multiple currencies at the same time. Moreover, it falls into the category of cold wallets because everything is stored only on your device and no information is left out. It currently supports 300+ coins and tokens. Atomic swaps, as the name suggests, is a way to swap one currency into another. But this exchange of currencies entirely avoids third-party risks and are cross-chain in nature. So being an atomic swap, you need not to worry about your transaction failing or getting scammed because atomic swaps either happen in entirety or don’t happen at all. The Atomic Wallet aims to be a single point solution. 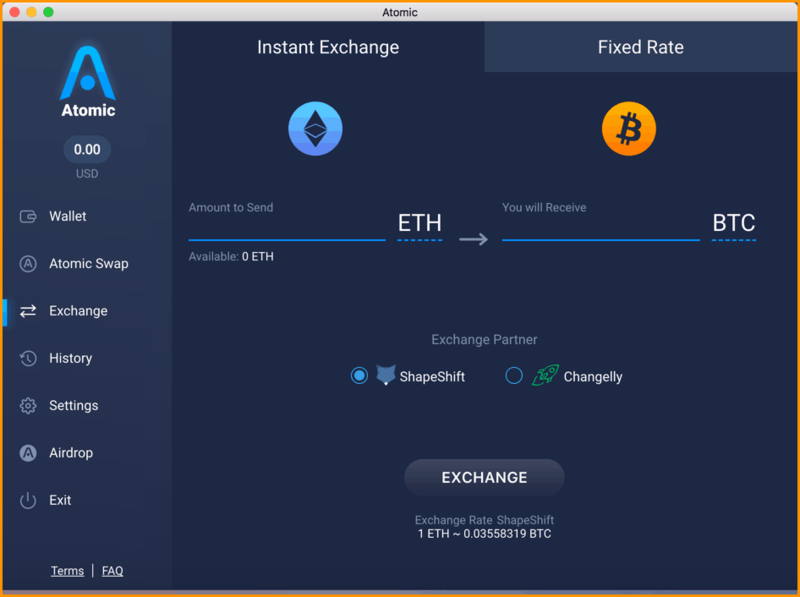 Therefore, it has integrated instant exchanges like Changelly and ShapeShift into their interface for coins/tokens that don’t have atomic swap support as of now. When you get started with the Atomic Wallet, you set a password and also get a seed (12-words) to secure your Atomic Wallet. Hence, you need not worry about your funds as you always remain in control of them. Atomic Wallet uses highest standards of encryption in their wallet wherever required, and your seed information never leaves your device, which makes it highly secured. Learn more about Atomic Wallet security. And their UI, I must say, is worth taking a look. It is easy to navigate and resembles a lot with the Exodus wallet which is a leader in desktop crypto wallets. The Atomic Wallet team comprises of crypto and blockchain pioneers, amongst which is their CEO Konstantin Gladych, also the former CEO of Changelly. 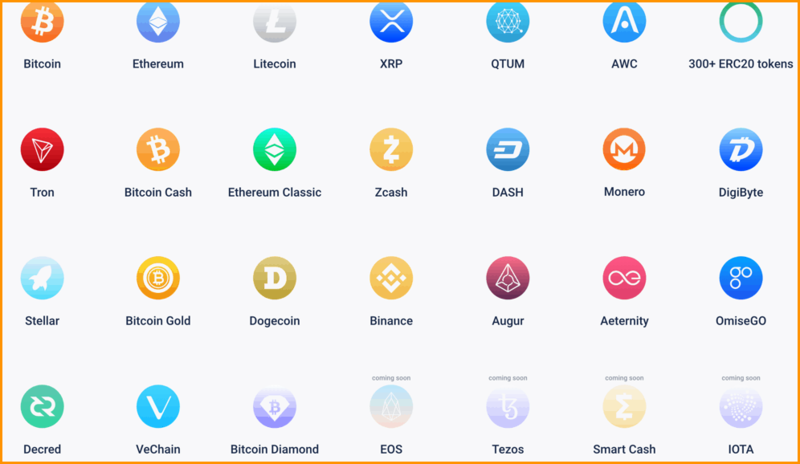 Atomic Wallet supports 300+ crypto assets as of now and virtually thousands of ERC20 tokens because there are more than 500 tradable ERC20 tokens. To check the full list of supported coins, visit their asset page. 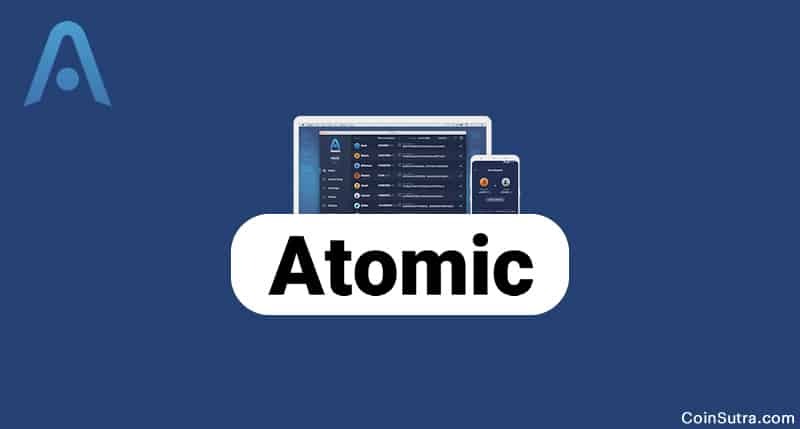 Atomic Wallet is available for all major operating systems such as (Windows, Mac, Linux, Debian, Fedora) so you need not worry about changing your operating system to enjoy its benefits. 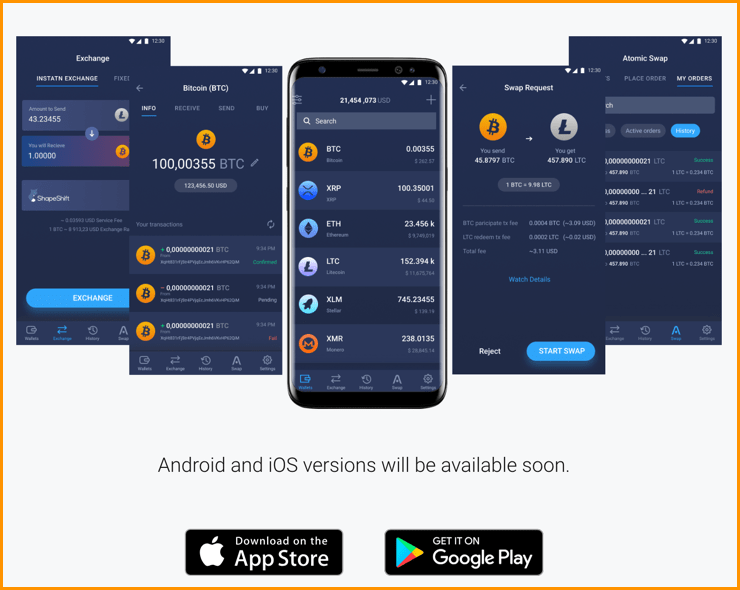 Atomic Wallet’s mobile versions will be soon out so that you can enjoy the same service on the go on your iOS and Android devices. Atomic Wallet is leading the way in the crypto-jungle towards more secure crypto storage and exchange. It certainly has a long way to go as they only offer three currencies (BTC, ETH, QTUM) for swapping atomically. I would like to see a real acceleration in their development in this area. Also, if they can implement atomic swaps across significant cryptocurrencies, the storage and custodian problem will be solved to a greater extent. Also, they are developing their mobile apps, which is the way to go forward in this mobile-driven economy. It will be interesting to see that how they go about implement lightning powered transactions and swaps in the future for currencies like BTC, LTC, XMR, ETH etc. If you want to get more familiar with this wallet, I recommend you to watch their YouTube channel where they have many videos of Atomic Wallets. Like this post? Please share it with your friends on Facebook & Twitter!! I have this wallet. I’ve used the atomic and Changelly swaps with no issue whatsoever. I’ve tested the restore functions and they worked as expected. The only issue I had was when there was an update on the ADA coin network and my balance wasn’t showing. I contacted support from their site and heard back from them within a few hours. They took a look at the log file I sent them (exported from the wallet) and they advised I wait a few more hours and then refresh, I did and my ADA was back. I suggest anyone give them a try and import a few tokens to experiment with.